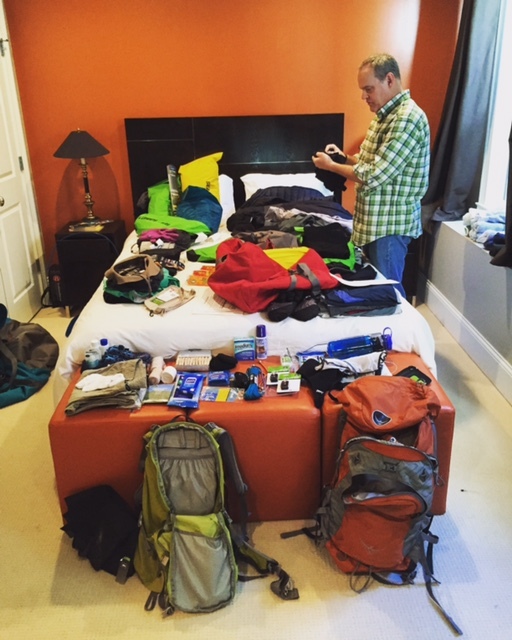 #8 – Packing and Preparing to Fly to Tanzania – Sounds Great, Let's Do It! I’m now 3 days away from leaving for Africa. I haven’t fully packed yet because I’m waiting for a final order from REI to arrive. I plan to pack tomorrow (Wednesday) which leaves me Thursday as a safety day in case I forgot something. The flight Friday is late afternoon so I’ll have some time then too. Here’s a photo of my guestroom which is covered with stacks of clothes, packs, gear, etc..
Other than packing, I managed to exercise yesterday and today. I went for an hour walk each day and incorporated some stair climbing in the walk. Nothing major but 10,000 steps to kick start my day. I’ll probably exercise tomorrow too and then take off Thursday and Friday. Saturday will be a travel day (Atlanta to Amsterdam to Kilimanjaro) and Sunday & Monday will be days we hang out at a ranch in Tanzania. The ranch is on 11,000 acres so hoping to see to wildlife, like maybe a GIRAFFE!! The trek starts Tuesday, September 22. I’m beyond excited. I’m physically ready and keep reminding myself that it’s as much a mental endurance as it is a physical one. I’m prepared to feel really bad and know that I will need to keep going when I feel like I can’t. 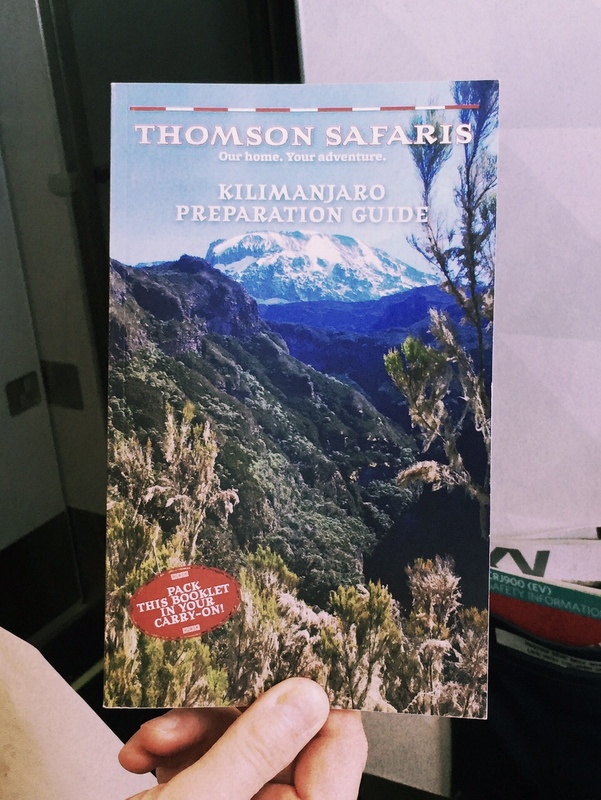 The guides will keep an eye on us for severe altitude sickness. I know that my head will hurt, breathing will be hard, I’ll only be able to take small steps, and my body will hurt. Sounds great doesn’t it? Well, it does sound great. In fact it sounds so great that I say “Sounds great, let’s do it!” The pain will be overcome by the beauty, the accomplishment, and a once-in-a-lifetime-adventure! I’m ready! I’ll be back in touch either during the trek if I’m lucky enough to have an internet signal, or when I’m back home. Twende (twen-DAY) in Swahili means Let’s Go! Kwaheri (kwah-HAIR-ee) in Swahili means Goodbye. ← #7 – Hiked my first 14er!